When Julian Merk came to Croatia from Germany with his father, they were one of the very few businessmen migrating in the opposite direction. 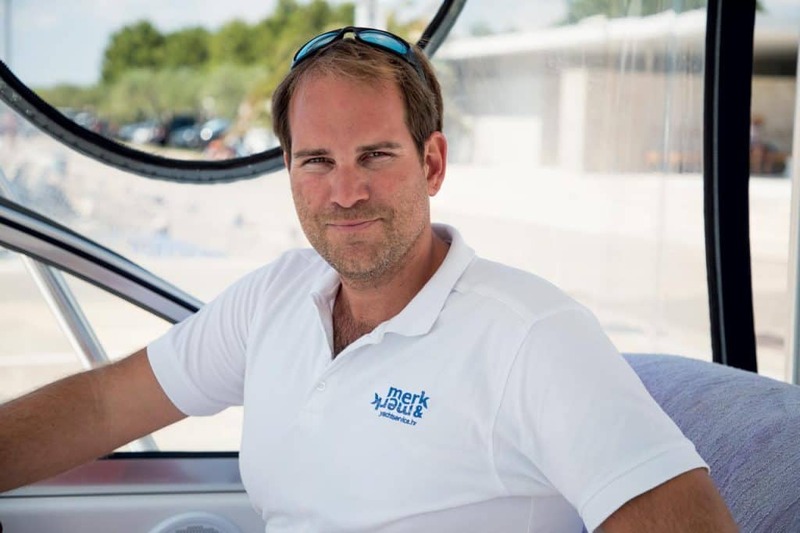 Their company first specialized in teak decks, and over the years, Merk & Merk evolved into a big player: now they are one of the biggest yacht repair and maintenance companies in the Adriatic and they are just now entering sales. Merk & Merk is ready to tackle any project – their Tribunj repair and maintenance center finds no task too small, or too big. Julian approaches everything he does with a typically German attention to detail – a bit differently than the vast majority of Croatian business owners – and it pays off. Merk & Merk is shooting for the top. How come you have chosen to do business in Croatia? In Germany, my father owned a ship repair business, but it was a mobile one – we offered our services in France, Croatia, Italy and the Netherlands. That way of doing business was tiring and not very profitable, so we have decided we needed a base. We didn’t want to spend too much time on the road any more. Since most of our business inquires came from Croatia, we have chose this country as that base. One of our clients in Split had recently finished building a house he had little use for, so we rented it. That house had a garage, which we used to work on our teak decks. Soon, we began partnering with Croatian builders, and then with private companies, who wanted more than just to purchase teak decks. They needed polishing, underwater coatings, engine repairs… Our business started growing. And then we got the opportunity to obtain the concession in marina Tribunj. In 2008. after meeting with the owners several times, we have decided that was our next step. At that time, we were working on several vessels in Betina, near Tribunj. We signed the contract in May 2008, after somewhat lengthy negotiations, and opened for business August 1st, 2008. Today our complex in Tribunj has forty employees. That seems a lot for a repair shop. We kept stumbling over the same issue: lack of workers for specific tasks. If you don’t have an expert for every task on your team, you’ve already lost. Outsourcing, waiting for partners to do their thing was excruciating, it was like watching grass grow. Come on, people; while we’re young… (laughs). We just didn’t want to keep jumping of that particular hurdle. So we have kept the core of our business intact and we still make teak decks, but we have added almost everything else. 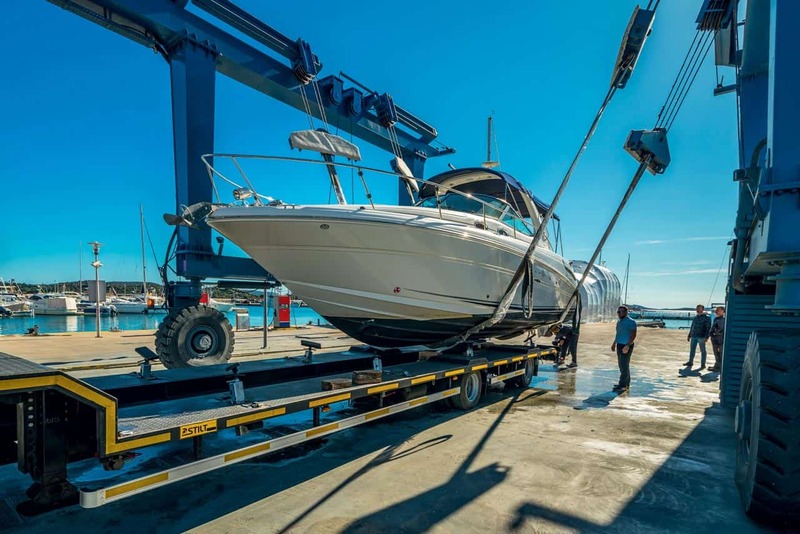 Our in-house experts can tackle everything: for example, while we were intensely cooperating with Sunseeker, we did painting in house, as well as repairs covered by warranties. Today we do very little coating for them, but a lot for everybody else. We also do winter repairs indoors, in the marina, including technical repairs, repairs to hydraulic systems and electronic navigation systems. Of course, we repair and install teak decks. When we’re done with them, yachts are fully ready for a new season. Have you learned a lot from cooperation with Sunseeker? That was definitely an important step on our way to where we are. We were their exclusive service for six or seven sears, and we have learned a lot in that period; both from their German partners and their headquarters. Most importantly, how to properly treat the client. There is nothing more sacred in our line of work than client satisfaction. That said, just as important as pleasing the client is how you get there. We are still a small company, but we do a lot of work, so we have managed to gather a lot of data that helped us to streamline the process. I believe that part of the industry is still lacking: many companies specializing in repairs and maintenance still cannot draft a detailed work plan for larger projects, or detailed project specification. Are there projects dear to your heart? Lately we have been busy with a multi-hull yacht, Imagine Heaven, that really needs a lot of gentle care. The yacht spent last three winters with us, after coming to us for hull coating. The owner contacted us, I personally went to Lumbarda on Korčula to see the yacht, and we agreed to to the job almost immediately. 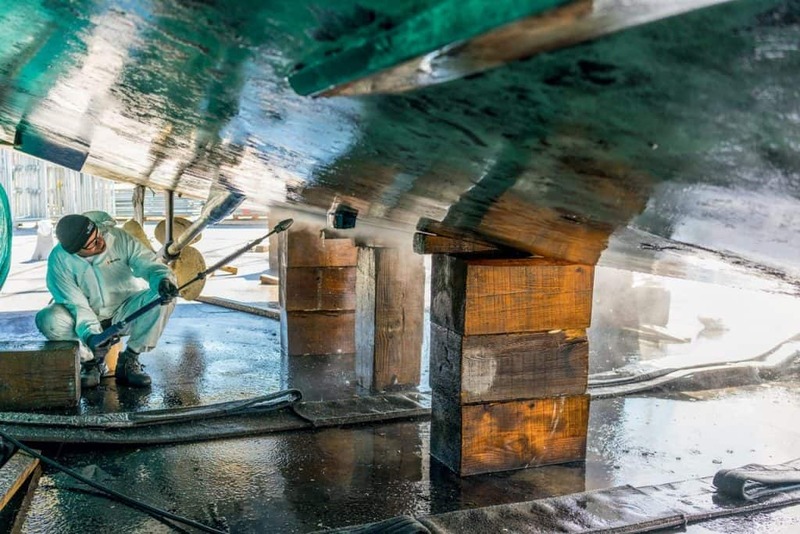 The owner wanted to restore the yacht to her former glory: the aluminum deck and the teak were badly damaged through use, so first we did the coating and installed a new teak deck. Last winter and the winter before that we did everything else: installed a new engine, air-conditioning unit, navigation system and multimedia system and additional generators. Imagine Heaven looks brand new now, except for the interiors. We are still working on fabrics and wooden elements. You are branching outside of repairs and maintenance. That was our next logical step after Sunseeker Germany faded, leaving clients behind. During our Sunseeker era, we could not have entered the sales segment without creating conflict of interest, but as they are no longer in business, we have added brokerage and sales to our activity list. I’ve been in the business with Sunseeker long enough to get to know the right people, to feel the pulse of the market and to learn how things are done. In time, we have spread out a little and now we’re a Gulf Craft licensed dealer as well. Not many dealers in Croatia have their own repair shop or the necessary infrastructure. 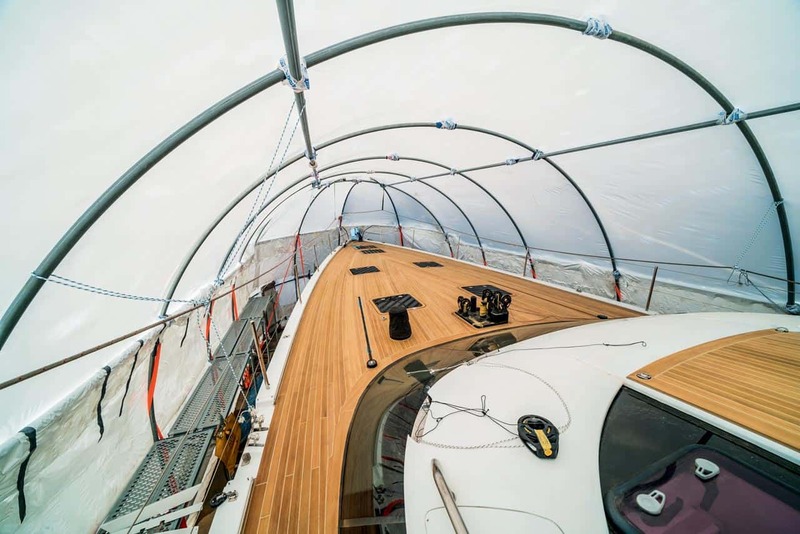 I believe buyers are aware even new yachts can have problems, even if they are covered by warranty. It is what it is, yachts are complex and smaller issues are expected. What matters is how those issues will be handled. The warranty repair process must be smooth, everything must be handled fast. We are very good at that, we have everything under control. When did you add Gulf Craft to your portfolio? We began the process last year, and have already partnered with them for the shows in Cannes, Monaco and Düsseldorf. How are things going for now? Pretty well. Gulf Craft launches new models really fast, they change their design a lot. I think the brand is still largely unknown in Croatia – it’s still going to take some time for buyers to recognize their name as fast as they can recognize Princess or Sunseeker, but their product speaks for itself. Gulf Craft have their own financing, they have enough money to create what they want, which cannot be said for many other yacht builders. Their Majesty 62, presented at the Dubai Boat Show, is in my opinion a great yacht for sailing in the Adriatic, and comes at a very competitive price. What else makes Gulf Craft models interesting? MAN engines and a long list of standard equipment, as well as customized interiors at a competitive price. I think not many builders of yachts up to 60 feet can offer a semi-custom yacht at that price, with layout fixed one normally can change only ‘cosmetical’ details. With brokerage offer (second hand yachts) we have the same advantage as with the new ones. It is not often that you can have immaculate first hand service from the company selling the yacht. Offer of the second hand yachts also helps sales of our new ones. But the solid basis for all this is our capability to care about our client’s yachts, who is as I already mentioned – in the first place, for service brokerage or sales of the new yacht.